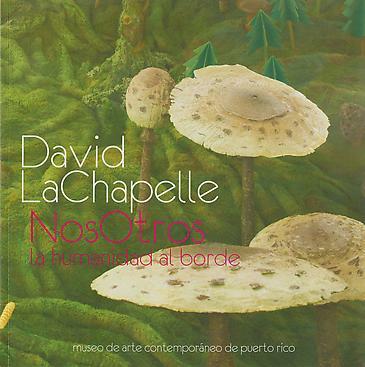 During the last three year, the Puerto Rico Museum of contemporary art (MAC) has purposefully and deliberately undertaken the task of enlarging the scope of its permanent collection, of diversifying its exhibition program, of giving more variety and complexity to its educational component, and of improving the professional quality and contents of its publication. We have strengthened each of these components so that our public may obtain, in every event, a richness and a challenge demanded by their myriad interests. The exhibition NosOtros: David LaChapelle’s Humanity on the Edge is the ideal means to continue expanding our role as a museum of contemporary art.